US Zen Institute will hold its summer camp at Catocin Mountain National Park between 1st and 7th of July this year. The theme of the camp this year is Seeking Harmony in Human and Nature. US Zen Institute’s summer camp is ideal for campers who are interested in learning Buddhist teachings and practices, meeting people from other cultural backgrounds, and enjoying the great outdoors. We welcome anyone of age between 8 and 15 years old as campers whereas those who are older than 15 years old as counselors. Parents are welcome to participate as volunteers. Registration: Registration is now open. There are only 40 slots available. Registration will close once it’s full. Please click here to download the registration form for the youth summer campo, complete it and mail it to US Zen. Or you may register by phone. In concurrence with the youth summer camp, there will be a seven-day meditation retreat being held at the same location at Camp Round Meadow of Catoctin Moutain National Park. The retreat will be instructed by Ven. Dr. Dhammadipa Sak, the abbot of US Zen Institute. It will be held in In English/Chinese bilingual format. Click here to see the retreat daily schedule. Registration: Registration is now open. Only 60 slots are available at this retreat. Registrants attending the full retreat have the priority to be admitted. Registration ends on 5/31 or once it’s full. 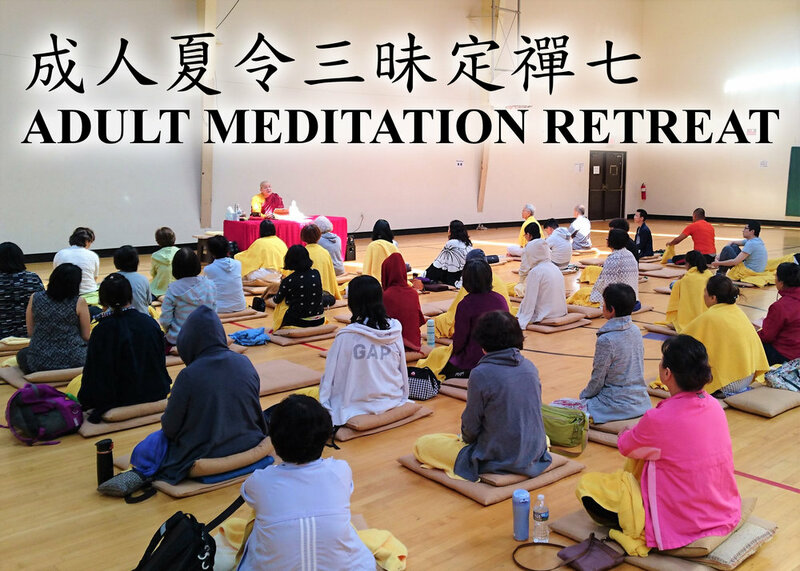 Please click here to register online for the meditation retreat.